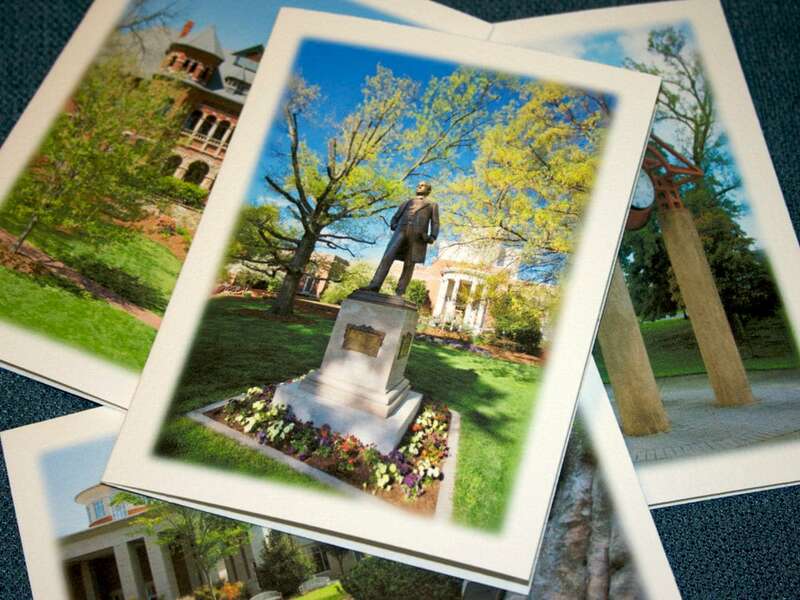 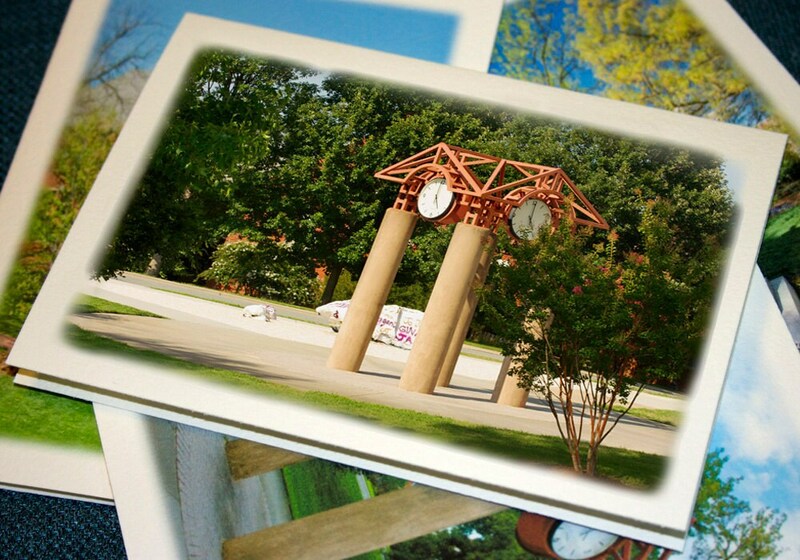 This set of four handmade note cards celebrates The University of North Carolina at Greensboro, with photographs of campus landmarks Elliott University Center, Foust Building, the statue of founder Dr. Charles McIver, and the Clock Tower with the "Rawk." 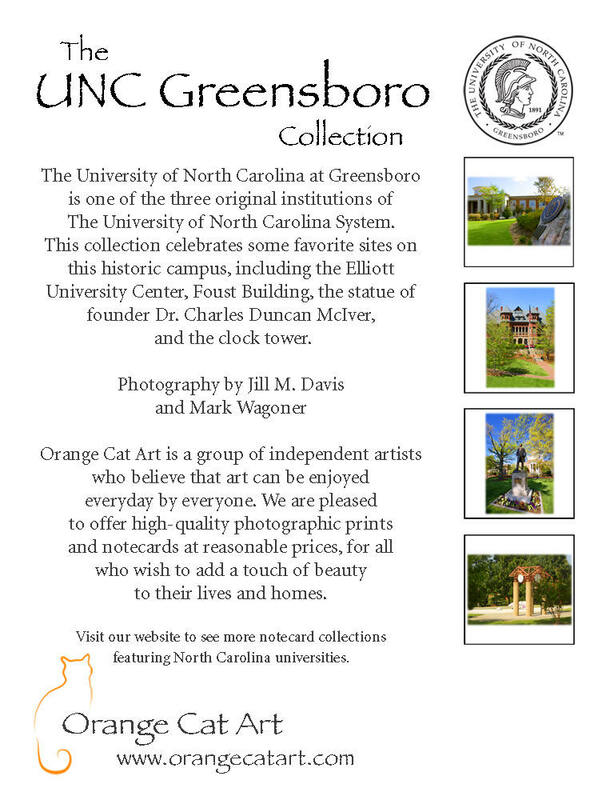 This item is an Officially Licensed Collegiate Product, offered with the approval of UNC Greensboro. 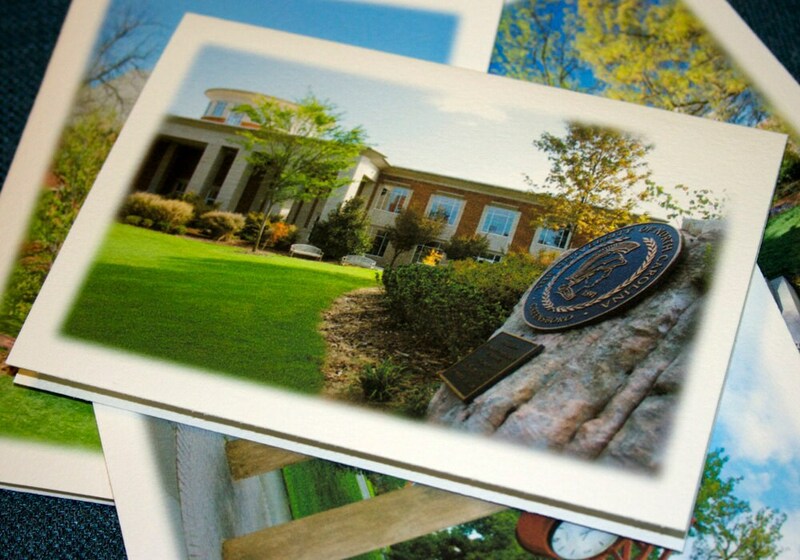 Will be a great, unique gift! 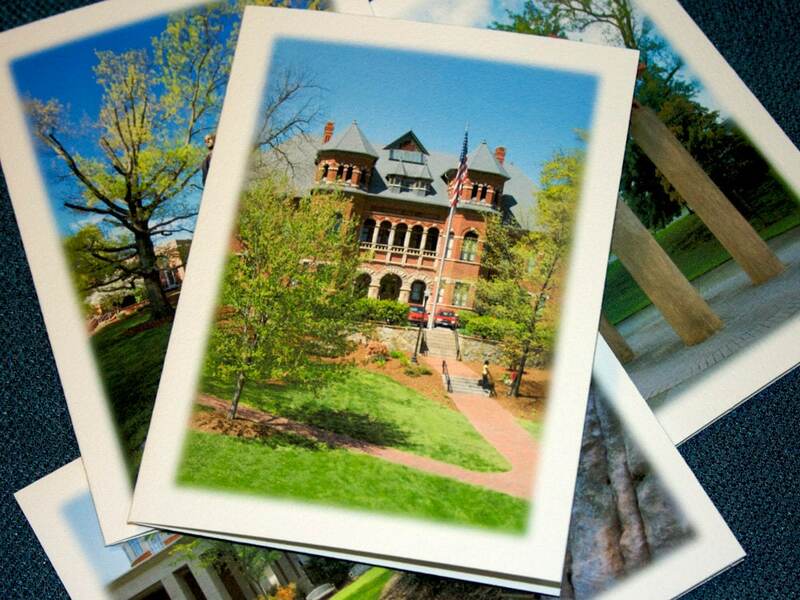 Many thanks for the lovely cards and fast shipping!